Whew! Now that’s a list of ingredients! Yeah, about the same for a stir-fry. Cut it back if you like! Marisa, I can’t tell you the last time I r e a l l y cooked! Taking care of my mum, I became relegated to eating lean cuisines! I miss the Union Square green market and all the fresh ingredients available in NYC. Fresh in a big box grocery often means 2 or more weeks old after being picked before it’s time. Until then, it’s reading food blogs for me. Trina–I hear you. And this time of year, yeah, it’s hard to get really fresh food. I miss the Union Square Greenmarket, too–that place is magic 🙂 Making a trip to a farm 1/2 an hour away soon for some organic, greenhouse-grown kale and the first of the seasons eggs, and I can’t wait. Wishing you luck as always as you move from point a to point b, and looking forward to hearing what you cook (and learn). That is quite the list of ingredients! 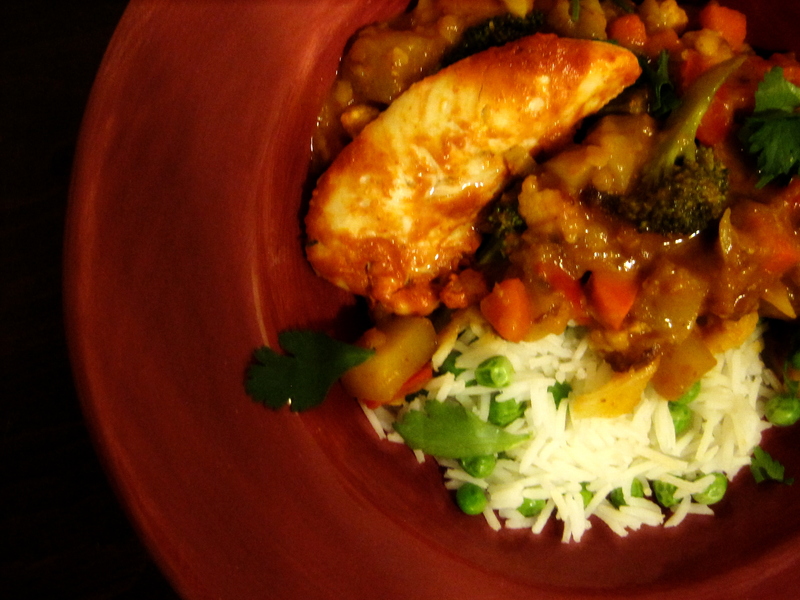 And I think it is fascinating to think about English curries versus Indian or Caribbean curries. We love curries and find them to be the most comforting foods in many ways. They warm your belly as easily as they warm your soul. Looks great, I want to try this this week! I am more familiar with Thai curry, I either make my own paste or use some off the shelf options if I am short on time. For this recipe, do you have instructions for the curry paste? How would you adjust if using curry powder instead?